There are a myriad of different tips, tricks, and suggestions from hotels and travelers alike when it comes to easing the stress of travel. From navigating a new town to figuring out transportation, there are many challenges travelers face. Whether you’re running a small B&B or a big resort, there’s one concern that should be above all else: protecting your guests. When it comes to traveling, hotel safety and security is a big worry for many travelers. Whether your patrons are couples, families, business travelers, or single explorers, all guests consider your hotel their temporary “home away from home.” It’s vital to the success of your establishment that you implement the most sophisticated hotel safety and security measures within your business. 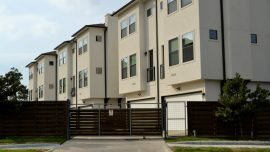 This will ensure every single customer who walks through your door feels not only welcomed and pampered but 100 % safe with their temporary living situation. Today guests are paying more attention to hotel safety and security before booking. They read reviews and check on the experience of other guests. If you want to protect your reputation and keep your guests satisfied, keep them safe. It only takes one negative experience or review to turn guests off to your establishment. Before you focus on extra security precautions, first make sure your hotel safety basics are covered. Each room should feature a safe or lockbox (or at the very least you should offer valuable storage from the front desk). A secure room key system, password protected WIFI, and peepholes are all basic expectations for guests. For guests’ safety, each room should be equipped with smoke detectors, which should be checked regularly. Check that evacuation instructions are readily accessible and easy for guests to decipher in any language or circumstance. CPR and basic first aid training should be provided for your staff, and you may want to have AEDs (Automatic External Defibrillators) on site as well. Security cameras and alarm systems are a standard expectation to protect guests as they traverse your hallways. 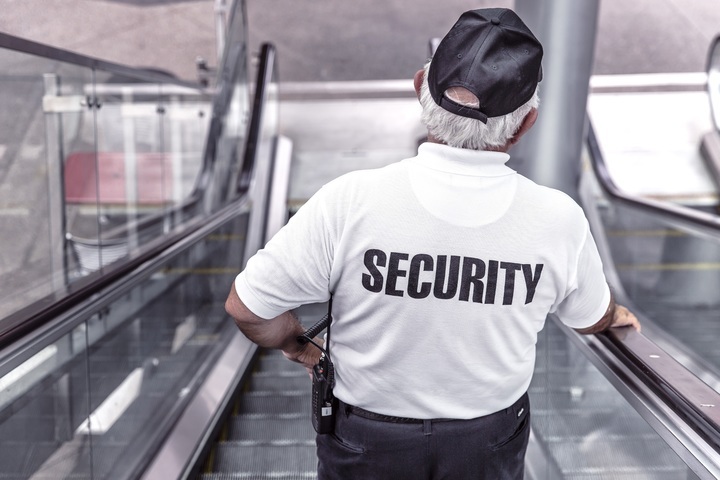 Smaller establishments may not need a fulltime security guard, but a front desk associate should always be present. Build your connections with local law enforcement and emergency personnel, so they can respond quickly and efficiently in an emergency. It’s an unfortunate reality that travelers are easy targets for criminals, and often experience emergencies. They’re away from home, in an unfamiliar place, and often carrying cash. Eating, sleeping, and activity patterns are irregular as well. Taking extra precautions toward hotel safety and security will keep your guests happy, comfortable, and protected. Once the basics are established, there are plenty of ways to enhance the security of your establishment. One key to effective hotel safety and security is enlisting the right people to help. An experienced team of trained safety experts will assist you in assessing your current practices and identifying areas for improvement. A security assessment will help you identify the “blind spots” in your hotel—common areas not in the view of security cameras. The hotel pool, gym, game room, laundry room, hallways, lobby, and restaurant should be visible to staff at all times. Should any concerns arise, surveillance footage can be extremely helpful. Privacy may be a concern for guests, but security cameras of common areas, hallways, and entryways will be reassuring rather than alarming. Security personnel can also help you assess your evacuation and emergency protocol. In the event of an emergency, do you know how to get every guest to safety? Are your staff members also familiar with the plan? Evaluate the current safety plan as well as the security cameras installed in your hotel. Are there areas for improvements? 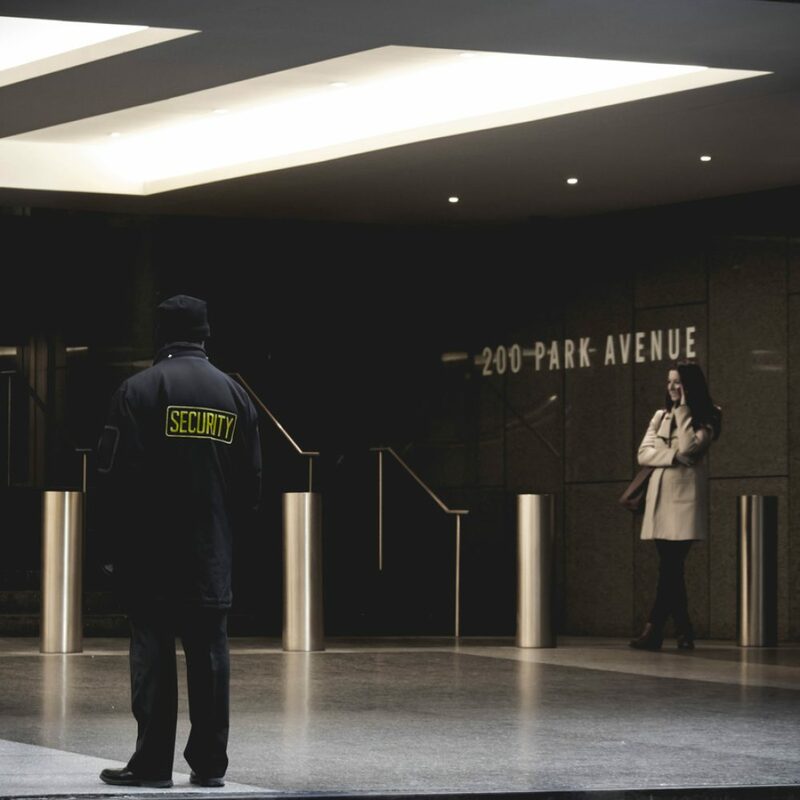 Invest the time and money into an experienced hotel safety and security team to raise the value of your establishment today. Face-to-face check-in conversations when a new guest arrives is a crucial part of hotel safety and security. In-person interaction has the power to deter a terrible or dangerous situation. 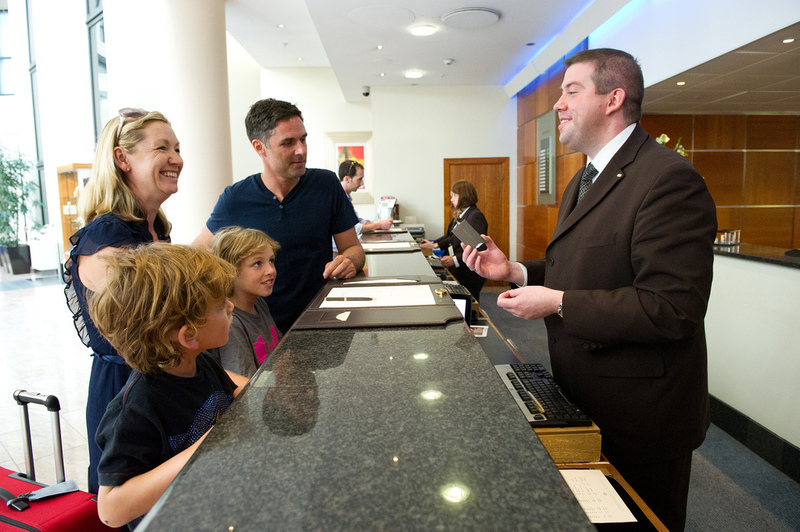 Your concierge staff has the opportunity to speak directly with every person who will spend the night in your hotel. This is a prime opportunity for your staff to ask questions and get to know a little bit more about the guests before issuing room keys. Enlist the help of safety and security professionals to train your front desk staff on recognizing suspicious behavior. Adopt an “if you see something, say something” policy. Educate concierge and front desk reception on what types of questions they should ask guests before completing a reservation. Do their answers make sense? Do they say anything that raises any red flags? Do you feel comfortable around this person? Staff should also learn to identify signs of credit card fraud and identity theft (a common concern for handlers of personal information). Protect your guests and your establishment through proper training and watchful eyes. Many modern hotels today are moving to electronic check-in for guests to save time but unfortunately, by eliminating the human element, you take away a valuable opportunity to notice any warning signs. There are workarounds that can still keep the check-in process efficient and a presence at the desk is key for safety. Educate your staff on common warning signs, suspicious answers, and behaviors to watch out for. In today’s world, hotel safety and security precautions like this are highly pertinent. Always remember, as the head of your hotel, safety and security begins with your employees. Chefs, room service waitstaff, housekeeping, and maintenance are in close quarters with your guests every single day. Front desk personnel handle credit card and personal information for your guests as well as valuables. It’s your responsibility to ensure the people you hire carry good intentions and have the best interest of both your hotel and the customers in mind. 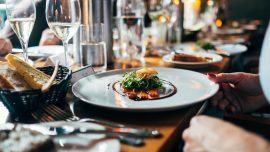 Conducting reference and background checks on your employees is a sure way to stay on top of who’s working for you and who’s interacting with your guests. Take a real interest in your employees and get to know more about them. Understanding the people representing your business and interacting with your customers is a vital part of running a safe and successful hotel. Sites like GoodHire and Total Reporting help make the conducting a background check process easy and accessible. Never forget, hotel safety and security at your establishment starts with you. Lead by example so, with complete confidence, you’re able to guarantee your guests a safe environment surrounded by the utmost responsible, dependable, and ethical employees around. 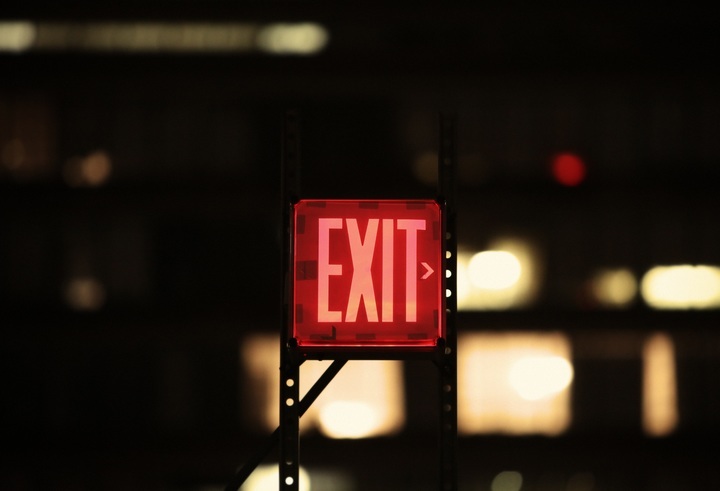 And if for some reason, a member of your staff doesn’t turn out to be the person you thought they were, you can responsibly terminate the relationship before any guests are impacted. A large part of your establishment’s hotel safety and security is measured by the way in which you react to an emergency. Setting up a clear and effective emergency response and evacuation plan before disaster strikes will keep your guests secure. Preparing your staff and employees with a procedural plan will keep everyone safe and clear-headed should the worst occur. Pre-planned emergency steps protect your guests, but they will keep your employees safe too. Considering recent disastrous hotel emergencies ranging from fire, natural disasters, robberies, and devastating shootings, an emergency plan is a necessity. It’s crucial your employees know what to do and how to respond so your guests are guided in the right direction. When emergency strikes, guests turn to you to show them what to do and where to go. It’s a heavy responsibility to hold and it’s up to you and your staff to prepare for such a situation so there are never any surprises. Security experts can also advise you of your liability and responsibility should the worst case occur. Take the time to assess and revamp your hotel safety and security procedures regularly. When guests book a stay at your establishment, whether that be a bed and breakfast, inn, or lodge, they expect you to keep their families along with their personal possessions safe from harm. Putting your patrons first means putting their best interest and safety above all else. From basic security protocols to suspicious behavior training and emergency response planning, the extra safety precautions will boost your reputation and ensure everyone rests a little easier. Featured image via Pxhere. All images licensed for use via Pxhere or Flickr (CC2.0) licensing.